Entra nel vivo l’organizzazione dell’Acoustic Guitar Village 2019 a Cremona Musica! 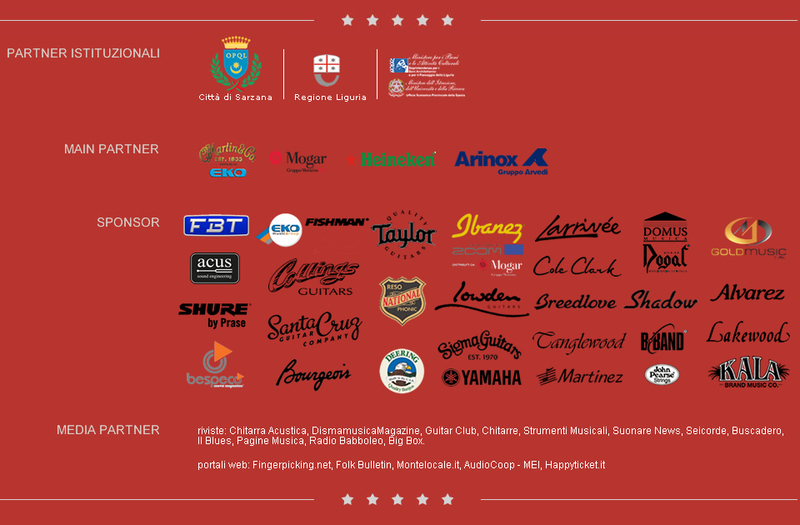 Fervono i preparativi per l’organizzazione dell’edizione 2019 dell’Acoustic Guitar Village a Cremona Musica International Exhibitions and Festival. Tante le conferme per il format vincente fin dai tempi della manifestazione a Sarzana e numerose le novità per il 2019. Everything is ready for the new edition of the Acoustic Guitar Village 2018, come to Cremona Musica on September 28th 29th 30th! There are just little more than 20 days left before the opening of the Acoustic Guitar Village 2018,inside Cremona Musica International Exhibitions and Festival, taking place in the Cremona Fair from Friday September 28th to Sunday 30th. The program of the AGV has been published – open the registration for the lutherie and guitar didactics masterclasses! 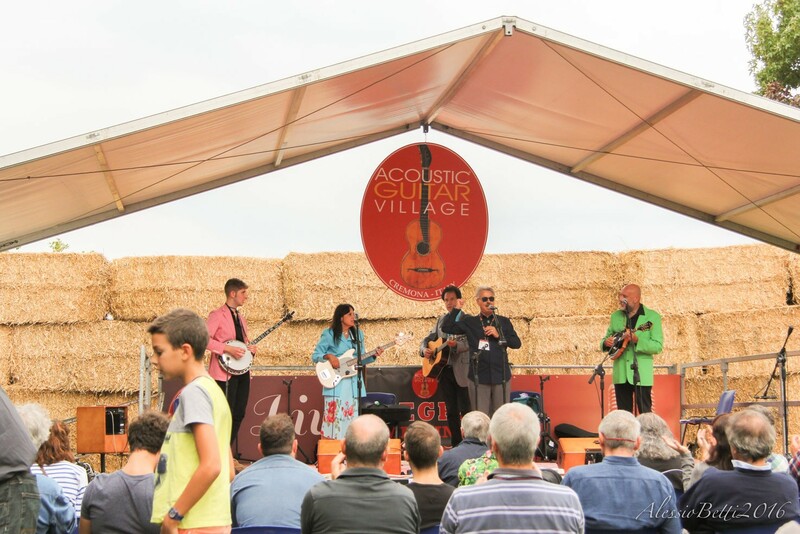 Registrations are open for the two masterclasses taking place during the Acoustic Guitar Village inside Cremona Musica International Exhibitions and Festival, September 28-30 2018. Alessio Ambrosi is the artistic coordinator for the Acoustic Guitar Village at Cremona Musica. 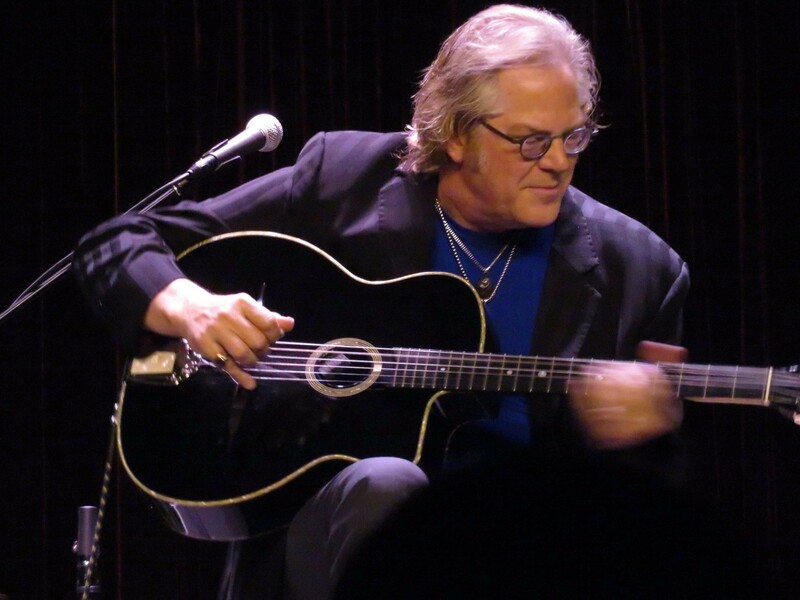 Here he talks about the Acoustic Guitar Village, offering a very interesting view of the guitar world, from an insider’s point of view…. Back from the NAMM Show and work in progress for the next Acoustic Guitar Village in Cremona Musica 2018! we have just returned from the NAMM Show in Anaheim, CA, where the enthusiasm and the vitality of the American and international music world were palpable. Numerous exhibitors, products, high quality areas and the presence of many luthiers and many events with music and the musical instruments market as protagonists…. 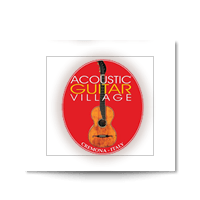 Happy Holidays and Acoustic Guitar Village 2018 inside Cremona Musica International Exhibitions and Festival! 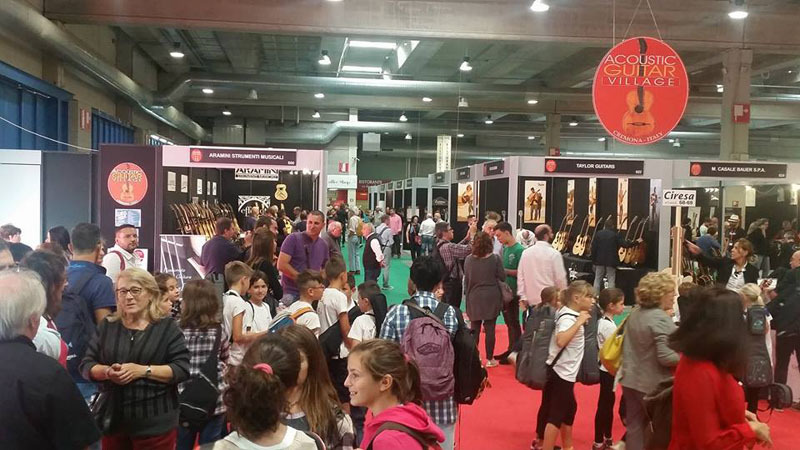 A great success for the Acoustic Guitar Village inside Cremona Musica International Exhibitions! Here is the program of the Acoustic Guitar Village in Cremona, inside Cremona Musica International Exhibitions, starting at the end of September! 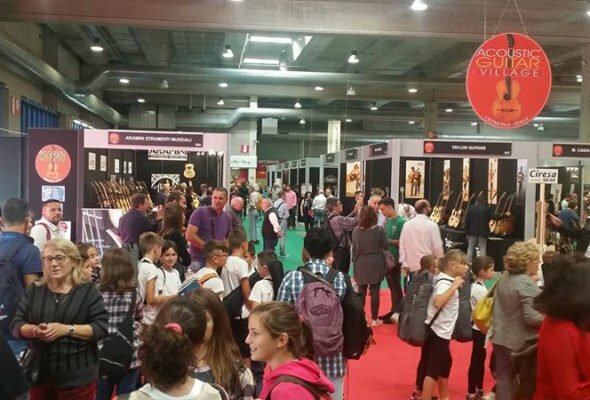 From September 29th to October 1st, booths with the world’s best companies and luthiers, and concerts, showcases, masterclasses with superstars of guitarmaking, exhibits and seminars dedicated to the acoustic guitar. 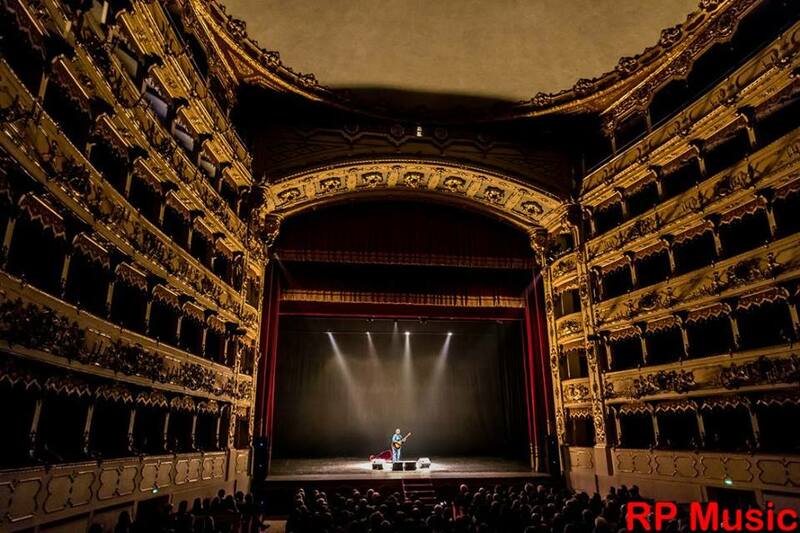 On the opening day, Friday September 29th, starting at 9:00 pm at the historical Teatro Ponchielli of Cremona, will take place the Gran Gala Concert with performances by the newyorker songwriter Diane Ponzio, the guitarist Finaz, founder of Bandabardò, and the extraordinary American duo Tuck & Patti…. Last booths available in the city of guitars, the Acoustic Guitar Village 2017 inside Cremona Musica International Exhibitions! 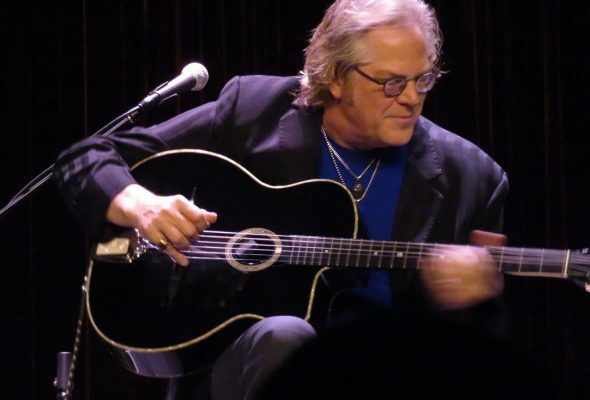 The world’s best companies and luthiers, concerts, showcases, masterclasses with superstars of guitarmaking, exhibits and seminars dedicated to the acoustic guitar, classical and modern. 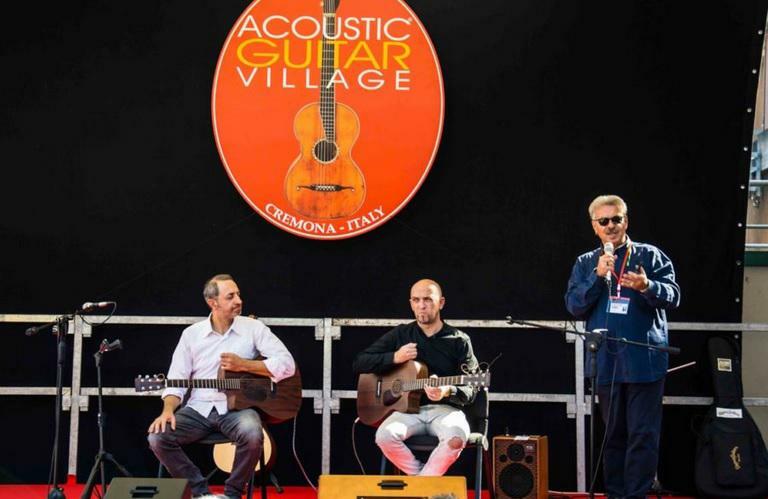 It is an incredibly rich program that Cremona Musica International Exhibitions dedicates to the world of acoustic guitar, classical and modern, from September 29th to October 1st inside the Acoustic Guitar Village…..
Acoustic Guitar Village 2017 in Cremona and visit to NAMM Show! a few lines to get in touch with you for the next 2017 edition of the Acoustic Guitar Village in Cremona. The last 2016 edition has been very successful, confirming the positive path for the Italian acoustic guitar scene that we started in Sarzana 20 years ago. Please take note that the 2017 edition of the AGV will take place on September 29th,30th – October 1st inside Cremona Musica International Exhibitions in the Cremona Fair pavillions. 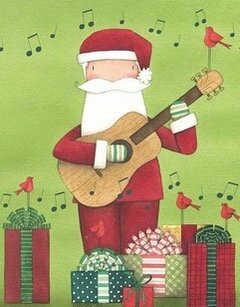 Happy Holidays wishes and updates from the Acoustic Guitar Village of Cremona! on the occasion of the Christmas festivity we’d like to take the chance to give you all our best wishes and some updates on the journey towards the Acoustic Guitar Village, that will take place from September 29th to October 1st 2017 inside Cremona Musica International Exhibitions, in the Cremona Fair. A great success for the ACOUSTIC GUITAR VILLAGE in CREMONA, work in progress for the next edition, 2017 September 29,30-October 1! Three weeks have passed since the three days of Acoustic Guitar Village inside Cremona Musica International Exhibitions, and with this delay due to an immediately subsequent trip to visit the Holy Grail Guitar Show in Berlin (and we give the organizers our congratulations and our thanks for the kind hospitality), we proceed now to write a report and comment the recognized success of our event…. Lutherie and guitar didactics masterclasses/workshops for acoustic guitar – registration for international exhibitors- work in progress for the Acoustic Guitar Village at Cremona, September 30th-October 1st,2nd! following the newsletter in which we announced the change after 18 years of the Acoustic Guitar Meeting of Sarzana, here we are with information and a preview on the new course of the event. 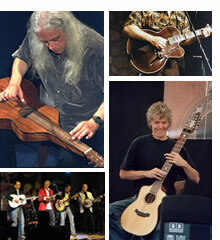 From the Acoustic Guitar Meeting to the Acoustic Guitar Village in Cremona with a preview in Sarzana! After the great success of the 18th edition of the Acoustic Guitar Meeting in Sarzana, we are very proud to announce the 2nd edition of the Acoustic Guitar Village, the area totally dedicated to the acoustic guitar, classical and modern, inside Cremona Mondomusica, the annual International Lutherie Show scheduled at the Cremona Fair, next September 25th-26th-27th 2015.